This first photo and the article which follows are reprinted from “The Western Collector” dated October 1970. TOP ROW: Pyrex 661 (61); Pyrex 271; Pyrex 353; Pyrex 233; Hemingray D 512; Hemingray Spool D 518. MIDDLE ROW: Hemingray T S 2; Hemingray No. 19; Hemingray Cable No. 62; Hemingray (no number); Pyrex 171; Hemingray T S 3; Hemingray 42; Hemingray 45; Pyrex 63. BOTTOM ROW: Pyrex 453; Pyrex 662; Sombrero; Hemingray D510; Pyrex 441. 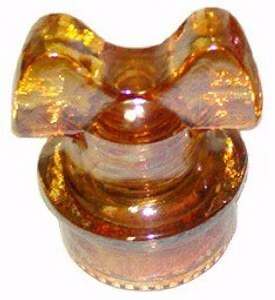 It has been said that the term “carnival glass” when applied to insulators is somewhat of a misnomer, but it is certainly true that insulators were made in this very attractive glass. It has now been suggested that the first ones may have been made with the idea of getting a spectacular color to distinguish certain lines. To this writer it seems more likely, however, that the coating of the glass with metallic salts in order to obtain the iridescent effect was actually done to give the resulting surface of the insulators a high resistance to current loss. The first ones probably appeared in the late 1920s or early 1930s. Exact dates have been unobtainable. 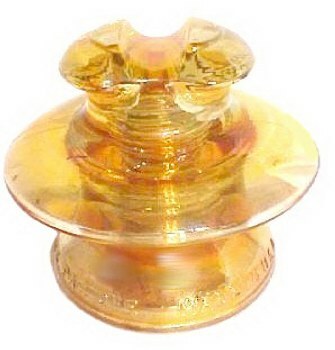 But while we may wonder whether the iridescent color or the stoppage of electrical current leak was the incidental factor, it is true that these items are some of the most desirable of all insulators. 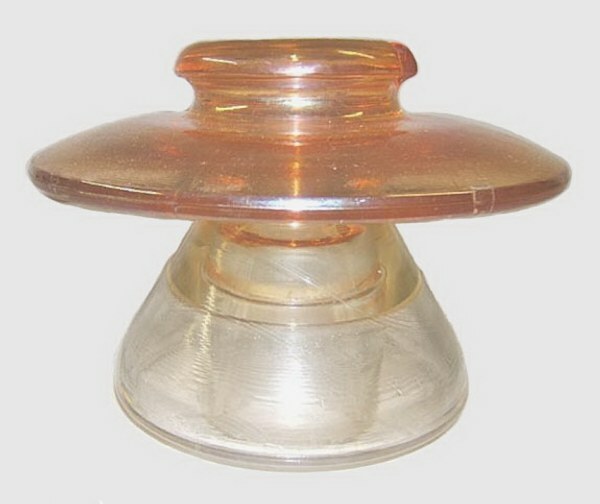 Two companies manufactured carnival glass insulators---Owens-Illinois at the Hemingray plant in Muncie, Indiana, and Corning in their New York plant. 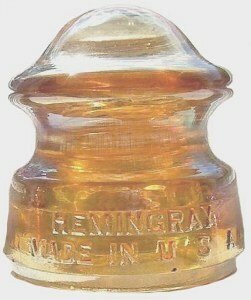 The Hemingray insulators carry the Hemingray name except in the case of those marked Kimble, which were also made there. Corning used their well-known Pyrex brand. The formula for the coating to be applied to the Hemingray carnivals was the property of Western Union Telegraph Co., and some of the insulators are marked W.U.T. Co. The solution was sent to the factory by Western Union with explicit instructions for its application: “Treatment shall consist of the application to both the inner and outer surfaces of the petticoat of a special solution which will be furnished by the Telegraph Co.” According to Mr. N.R. Woodward, there was at one time a court battle involving the formulas used by the two companies to iridize insulators. Both sides were no doubt being secretive about the process. Some batches of insulators seem more brilliant than others, with the Pyrex pieces showing up in a little brighter color in many cases. Most are in the familiar marigold shades, but one owned by Mrs. Irene Boynton of Santa Barbara California, with the Kimble name, has the skirt of clear glass while the dome I in blue-green-purple tones. A large collection of carnival glass insulators is owned by Mr. and Mrs. Gerald Brown of Two Buttes, Colorado. 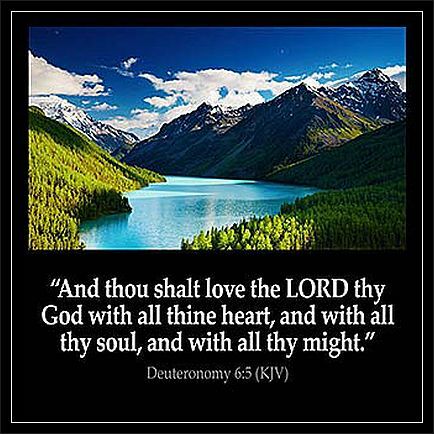 They now have some twenty types and are currently advertising a lovely colored and framed photograph of these----shown in their various color effects. Naturally, insulators were never designed as household ornaments nor to be given as premiums. Their beauty, however, whether by accident or design, has caused collectors of carnival glass to add these pieces to their collections. There does not seem to be any great quantity of them about, and they are commanding good prices in the market. 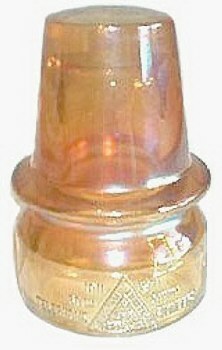 A collectors’ group in the state of Washington reports that Hazel-Atlas made both iridized canning jars and insulators. 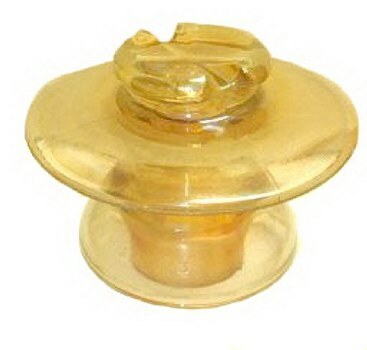 Western Union holds the patent on carnival glass insulators. They were thought to reduce radio interference and improve signal quality during bad weather. Also the carnival treatment allowed the electrical charge to leak off the insulator without causing static. Hemingray also made canning jars, syrup jugs, lamps and bottles. THE UNIVERSAL HOME bottle. Fewer than 6 known. 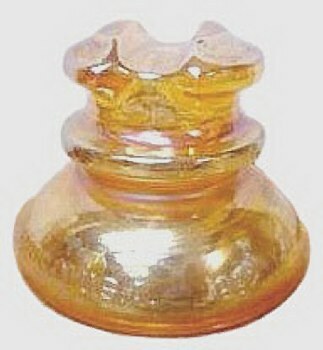 “THE UNIVERSAL HOME” bottle: Reportedly, there are fewer than six of these marigold bottles known. One recently sold for $100. Jerry Curtis was happy to take this one home from the recent Hamilton Auction held during the 2008 Texas Carnival Glass Convention. The late Jack Hamilton enjoyed his bottle collection. Measuring lines-1/2 pint, 1 pint, 1 ½ pints, 2 pints/1 qt. Each of the graduations are expressed in 1,2,3 & 4 cups. 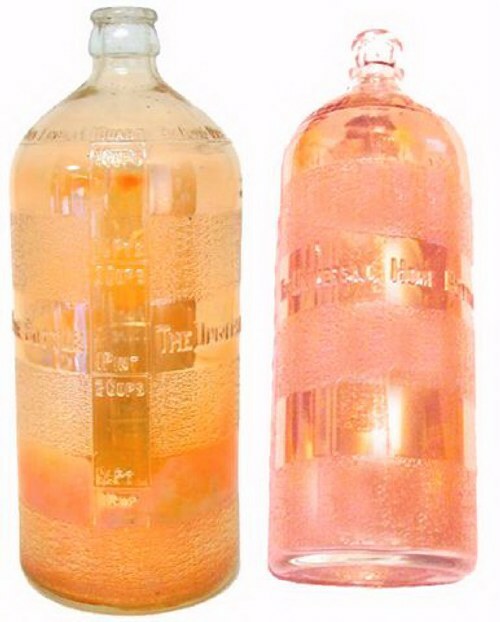 The two mold line bottle has exactly the same in measuring graduations displayed on two sides. The bottom band of stippling goes completely around the base, while the two upper bands are broken by the vertical measuring guide. This line-1 Quart-32 Fluid Ozs. is duplicated on two sides. The base has “PAT APP’D FOR”, along with the number “4” placed in an encirclement. 9 ½” tall, 3 ½” across bottom of base, 1” across neck and has 5/8” opening. Just down inside the opening, opposite one another are small V shaped channels opposite one another, perhaps intended to help secure a “top”, which is missing. Left - PEACOCK STYLE Hat in Marigold. 4 in. Insulator-1911-1971 - TELEPHONE PIONEERS Souvenir. 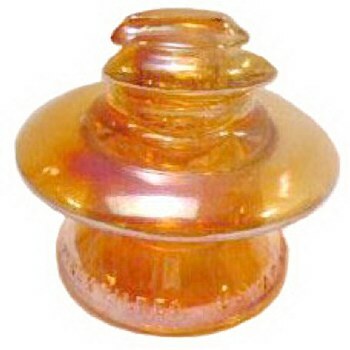 Right - PEACOCK STYLE Hat Insulator in Amethyst. 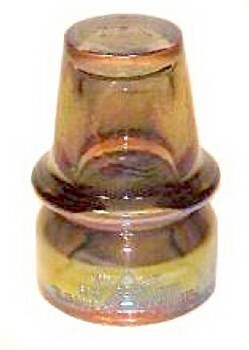 PEACOCK HAT Style Insulator: This 4” threadless style insulator was made by Imperial Glass in 1971. Only 2,514 of each color (Marigold and Amethyst) were made. It was sold by the Columbus Council of the Telephone Pioneers of America for a Human Service Project. The top of the insulator has a No. 1 with the I over G Imperial trademark. The front has the log of the Telephone Pioneers of America and reads 1911-1971-60th Anniversary Telephone Pioneers. 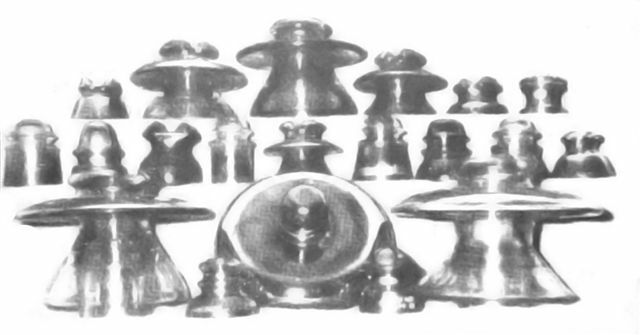 The last of the insulators was produced in 1967. PYREX 453C - 10 in. wide x 8 in. tall. 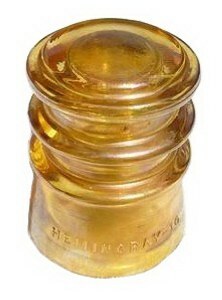 HEMINGRAY Insulators. Guess which one is called Mickey Mouse (smile)? 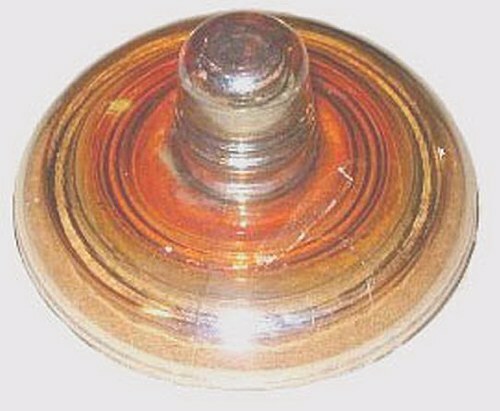 SOMBRERO Insulator - 10 in. across x4 1/2 in. high. Marked PYREX - Made in USA - Nov. 27, 1941.